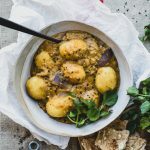 A flavourful plant-based (vegetarian and vegan) rendition of the popular Thai takeaway dish – top it with yoghurt and coriander as an option and have a warm and delicious evening of it. Yum! And yep, I’m on a curry roll! Mialina and I are off to Poland today!!! Yay – I cannot wait to dive right into the abundance of fresh summer fruit; berries, cherries and peaches. They are so affordable and tasty over there. Who knows, we might even be able to go mushroom foraging as July is looking to continue to have quite heavy rainfall. I have been having quite a bit of fun cooking with just plants of late. I am running a couple of budgeting apps at the moment to help me figure out where my spending goes – the trip is an obvious culprit, but I like finding out that I can potentially save more money on groceries for instance. Pocketbook is one of my faves as it analyses ALL my spending and has an app that helps set up a Safely Spend limit for the different categories. Truly awesome! Buying less meat (I still try to buy most of it from the “bargain corner”, reduced by 30% to 50%) DEFINITELY helps. In Summer (we shall see you in 2 days) I am a big fan of salads for lunch but with the weather being the way it is and the mercury barely climbing past 15C most days, it’s really hard to eat a salad. Unless it’s some sort of a warm roasted veg number or some similar thing. My Mum eats a mostly plant-based diet so I have been taking some inspiration from her cooking of late. 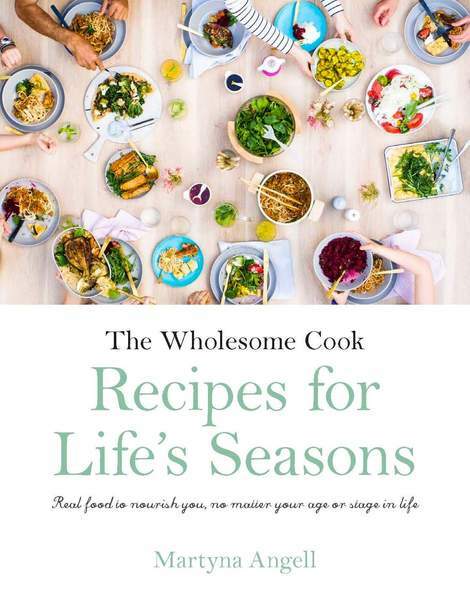 In fact, many of the creations in my new book, Recipes for Life’s Seasons have a nice plant-based twist because we can all benefit from eating a bit more of the nutrient- and fibre-rich stuff. Plus they are more ethically grown, they look pretty and taste amazing. 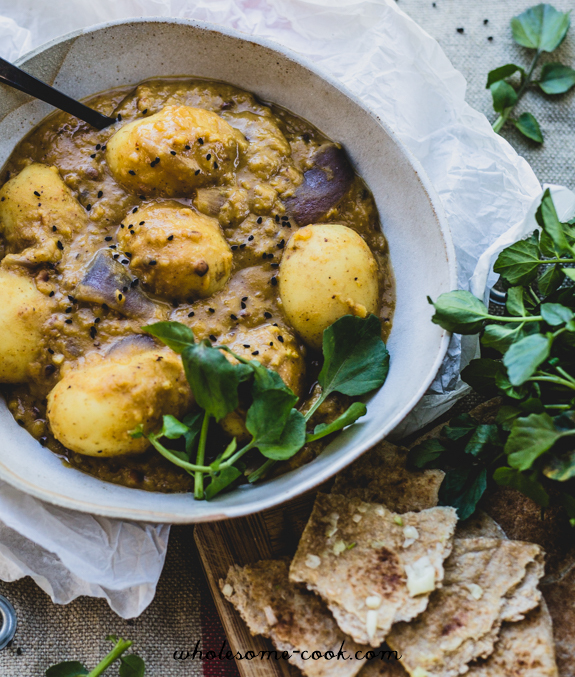 And so does this Massaman-style curry, I’ve skipped the beef and went with a delicious combination of the same sweet curry flavours with a thick lentil base and creamy potatoes. It becomes so lush and delicious, almost stew-like. Utterly satisfying on a colder evening. Check the curry paste that it doesn’t contain shrimp paste if you want to make it purely vegetarian or vegan – even some supermarket varieties are vegan. Serve on its own, with rice or cauliflower rice if you like and some watercress. Top with yoghurt and coriander as an option and have a warm and delicious evening of it. Yum! 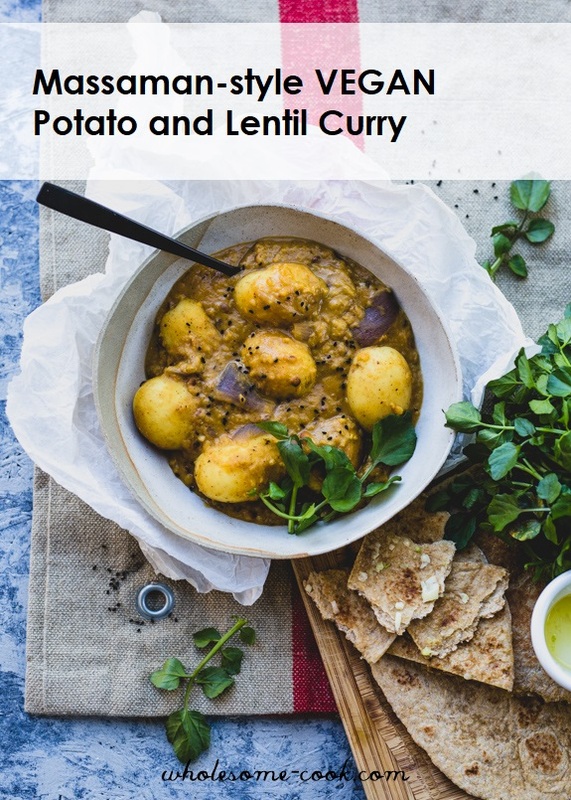 Skip the beef and go with a delicious combination of the same sweet curry flavours with a thick lentil base and creamy potatoes. Utterly satisfying on a colder evening. Check the curry paste that it doesn’t contain shrimp paste – even some supermarket varieties are vegan. Serve on its own, with rice or cauliflower rice if you like and some watercress. Top with yoghurt and coriander as an option and have a warm and delicious evening of it. Yum! Peel onion and cut into wedges. Heat oil in a large saucepan set over medium heat. Add the curry paste and cook, stirring, for 1 minute until fragrant. Add the onion and stir to cover in the paste, cook for another minute. Add the lentils and stir through the paste, pour in the coconut milk, rinse the can out with 1.5 cups water to get all of the milk out and add into the saucepan as well. Add the potatoes, cover the saucepan with a lid and simmer gently, stirring occasionally, for 20-25 minutes or until the potatoes are soft, adding the extra cup of water toward the end of cooking. To make the wraps, drizzle two of the wraps with olive oil, spread with crushed garlic and top with the other wraps. Heat in a sandwich press or on a hot frying pan for 2 minutes. 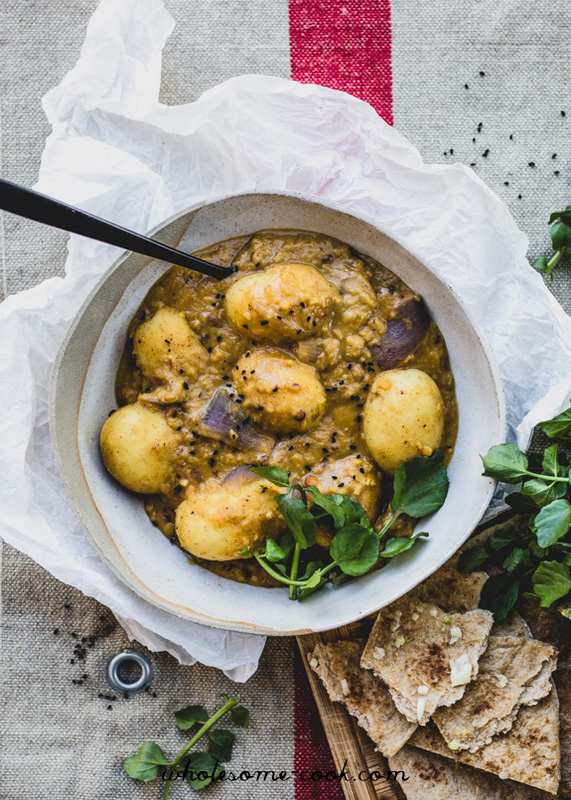 Divide the curry between serving bowls, sprinkle with nigella seeds, add watercress and serve with the hot wraps on the side.